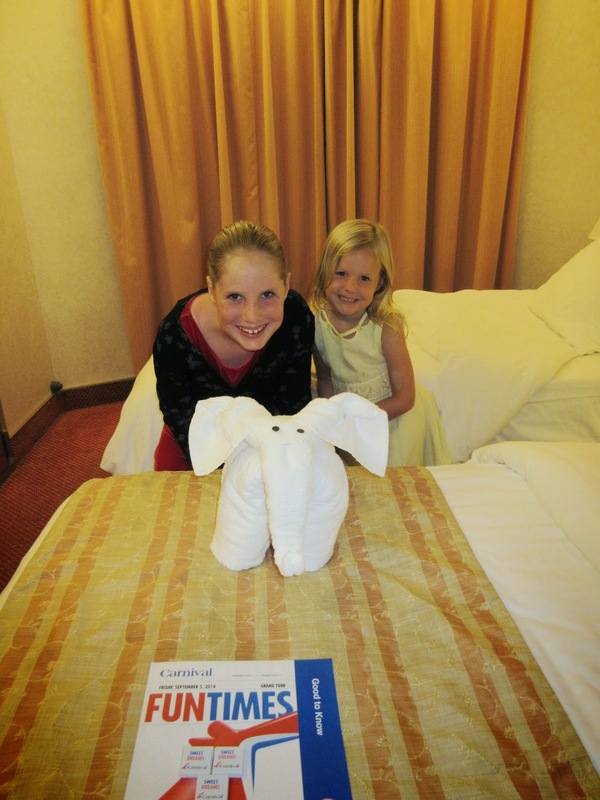 One of the best parts of being on the cruise was being pampered!! Our room was cleaned twice a day. 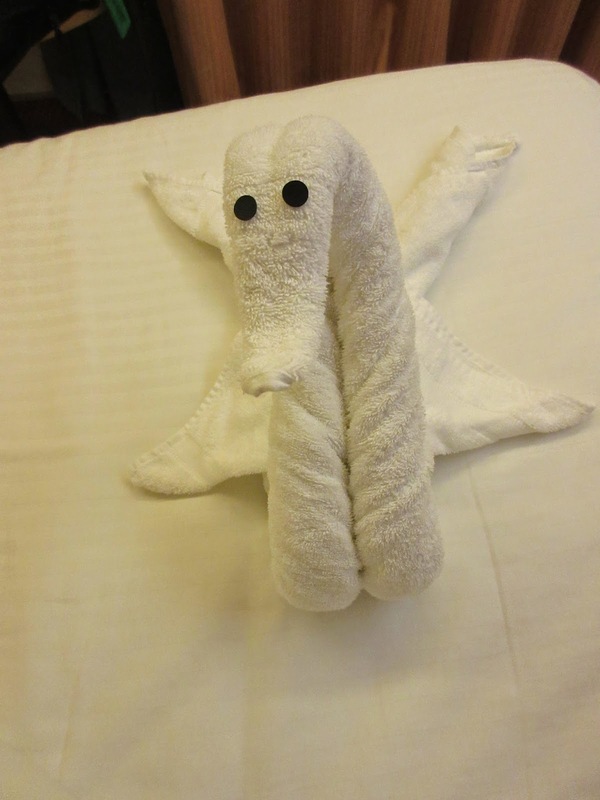 Every night, our sheets were turned back, with a towel animal on the foot of the bed. The kids learned how to make them too - Landon's is on the left. 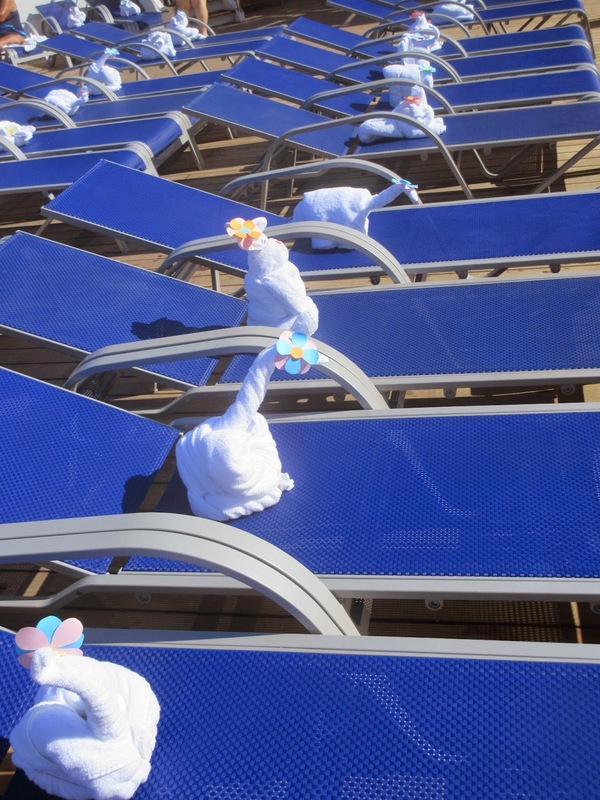 One morning, we awoke to quite the sight on the pool deck! Every night, we had a 3-course meal in the dining room. Francisco, Joel, and Rammie were the perfect hosts. The kids loved ordering a starter, main course, and dessert. 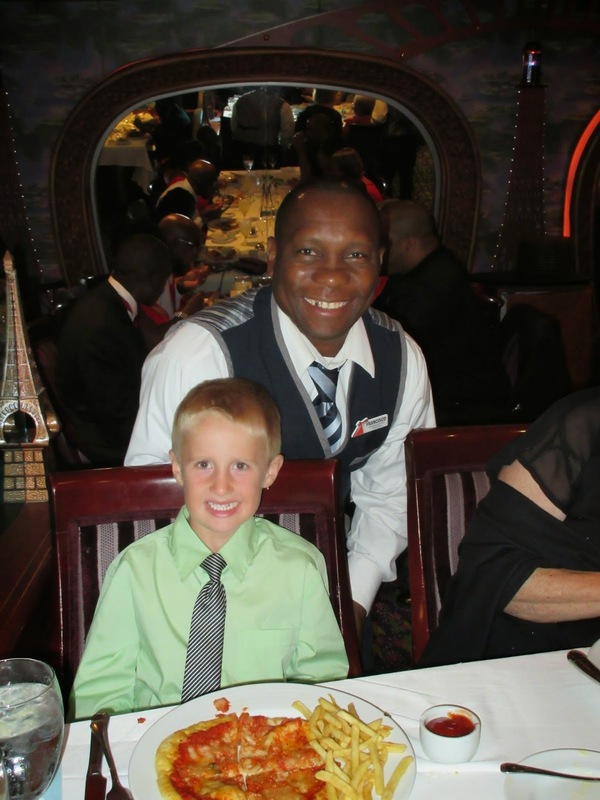 Each evening, the wait staff entertained us with singing and dancing. Meal time was quite memorable! and a welcomed opportunity to have some time without the kids for a bit. Being with my family for an entire week, was such a gift! My parents generosity blessed us beyond imagination! 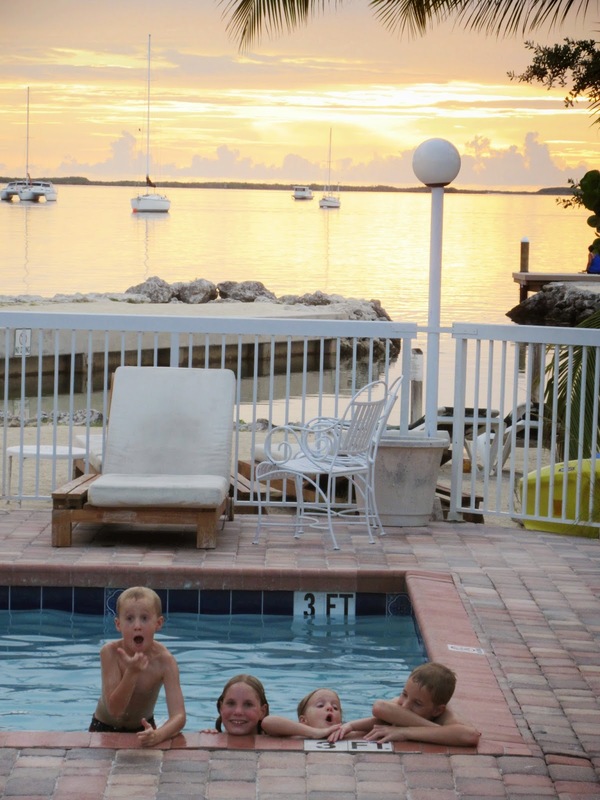 Our last night we stayed at Key Largo. the sunset was worth every penny!